Relenta CRM is a simple and effective email-based CRM. Relenta CRM works by automatically linking all sent and received email to contact timelines. "Working from withing your email inbox is the key to making CRM work." The one click zone and the fact that Relenta is very email centric are what really got us interested in this solution. We looked at and tested so very many CRM systems. What we found was that other solutions were overly complex and/or contained limitations to what we were trying to do. In many cases, we just could not get the buy in because it was a separate system that they employees had to look at and manage. Our employees are more engaged with Relenta due to the email centricity. They are used to living in their email client and Relenta has simply become their email/CRM client all in one place. We at first had some difficulty with implementation as we are not a single email company. We do have shared email boxes, but still have separate email addresses for employees. We struggled with this until they added the My Emails folder update. Everyone's needs are different and every system has a learning curve. If you are not used to a single email setup understand that it is ok and not required, just be sure to understand going in how to setup the My Emails folder. This will help you transition to the system and you can decide later if you wish to try to implement a single email address for your company or not. The key is to know this is an option should you choose to market a single email address for your company. I have been disappointed with with the lack of development in recent years. We were looking to get a better handle on our communciations with our customers and employees and also amongst and between our employees to manage projects and task related to taking care of our customers. Relenta is now taking care of this for us. "Relenta CRM doubles my productivity"
I spent 6 months looking for an email provider that gave me the flexibility I need to run a high end small concierge business in Paris managing multiple inquiries and moving those down the service pipeline until reservation and payment. This was the only system I found that was simple to use and effective. My productivity has at least doubled and client response rate is so fast the clients comment all the time. I can not imagine growing my business without it. And since then the few problems that used to arise from doing everything manually has all but vanished. Not a lot really. It works for my travel and entertainment business brilliantly. Tracking old client reservations quickly to understand their needs better. The ability to move folders easily allow me to only follow active reservations and delete the rest without losing them. I was able to easily set up a 2nd account and manage my son's music business. So many more things but I got to get back to work and answering emails! "Does everything I need and more..."
Easy interface, easy searching and from day one has organised the emails so I don't have to. Support is very responsive when needed (thankfully not often) and you get the impression you're dealing with passionate people rather than software robots or a call centre somewhere very remote. My business has a lot of single service clients but when I'm working for them there could be many email exchanges. Keeping on top of the conversations and audit trail is something Relenta has always done well. "Best CRM - 14 Days to a changed Life"
The simplicity is what I liked the most. You set it up and then it works for you almost. The ability to have information at one click away has improved my performance in such a dramatic way I can't even describe it. Nothing. So far everything is better than other CRM's ever thought of being. The only time I dislike anything is when an old contact or information pops up from before I was using Relenta. Then I am mad because I know how easy that would have been had I been using Relenta. Take the trial. Take 3 hours and walk through setting it up. Then watch the videos on how to use it. You will never forget the day you first tried it. You will want to tell others because it is that good! Emails!!! Task, Calendar, Responses, and Email Chains. Communication is the number one thing especially in a small to medium business. Relenta solves that. I have less than 25 messages in my email at all times. I am able to respond, capture, task, and keep notes to follow up on all within an easy dashboard. Why other CRM's don't get that email is the base of the today workplace blows my mind. This one benefit alone has changed my business. "Marketing Agencies should have this email marketing CRM"
I like that all my clients can have their own contacts. For instance, client #1 can have it's own set of contacts. In addition, Client #1 can have many "groups" of contacts like "Dealerships Miami", "Dealerships New York", "Dealerships Los Angeles". The way Relenta is set up is that each time a group is created, a new database is created. All clients are kept separate. I looked at other platforms and some are limited because only one database is create for the small business itself. That's why Relenta is great for marketing agencies/companies. All your clients can have their own area and not get bundled together. i can't be too picky since I know I cannot get everything within one CRM. This is one thing they are about to change ASAP: Track Open Rates. By the time you read this, I'm sure the feature will be implemented. Look at the structure of your marketing agency. I am approaching this from the agency standpoint. If I was a regular small business, it would work too, but as an agency, it's much more powerful because I can do email marketing for many of my clients. All this with just one software. Since I have bundled email mail marketing into my proposals, I have to reach out to prospective companies to build relationships. Keeping track of all contacts without a CRM is impossible. Organization is important, but just as important is doing more MARKETING and not getting encumbered by the CRM (like Sales Force). The Relenta CRM helps streamline the process. I reviewed almost 10 Email marketing CRMs and Relenta was all the way at the top. It all depends on what is important to the marketing company. "A perfect user experiance between contacts, calendars and email." Relenta has seamless integration between contacts, calendar and email. There are some really simple yet time saving features, most software overlooks the importance of these things. The thing I like the most about Relenta is the personalisation of the emails I send. I may send the same email to 20 people, but I'm interested in a response from all 20, so I appreciated that the email doesn't come across as a mail chimp style, mass marketed email. I dislike that Relenta doesn't yet have email open analytics, this would be really helpful. They've said this is comming. Relenta is a CRM focused on email communication, It's the perfect solution for businesses that communicate a majority of the time by email. You can add comments and custom events to the contact timeline, so a phone call can be summarised and entered as an event with details. This will show up in the timeline, I think this is more useful to see in the timeline than a VOIP audio recording. I'm using Relenta to send more personal emails to my clients and to allow me to better track my communication with them. It's quite embarrassing when I send the same email to a client twice. Relenta allows anyone in my company to view the contact timeline, this means the workload of keep up contact with clients can be shared amongst the team. The shared department inbox ensures someone is always able to quickly respond queries from current or potential clients, even when a team member is on leave. 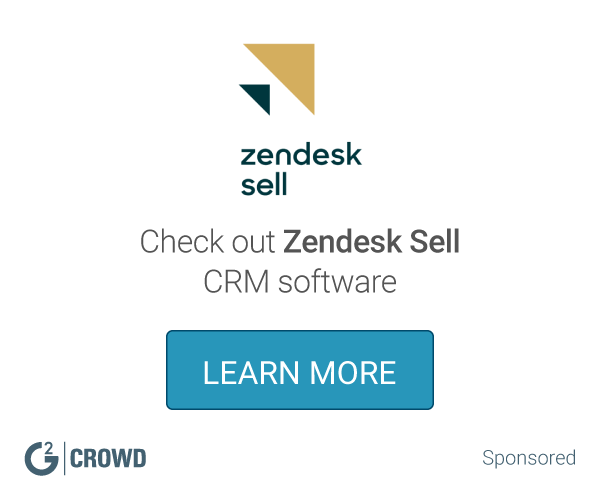 "Relenta is the best CRM software value in the market today." The ability to track incoming and outgoing emails is unparalleled. We are tracking hundreds of prospects at a time mostly from website contact forms and emails. Without Relenta keeping track of everything we would have chaos. i have checked out other CRM systems by none match Relenta's ability to keep up with our email workflow. The autoresponder tools are surprisingly robust for marketers. I use AWeber for another business and I really cannot see any functional difference between the two. I am in the process of moving all our email marketing out of AWeber and into Relenta. It is nice to have everything at one place in Relenta. Would like to see easier use on mobile devices but it is still usable on tablets. I have been using Relenta for a years. But about once a year I go out and do a review of the alternatives to make sure I am not missing anything. I recently looked at all the big players in the cloud CRM arena... Salesforce, Ontraport, Zoho, Infusionsoft, Nimble, Sugar, Sage, and all the others. Most have shiny features that make them tempting to try. But a the end of the day none provide the value of Relenta. The monthly fees for Relenta are among the lowest. And none handle the ability to track emails and website inquiries like Relenta. Our communication with prospects and clients is far better than any of our competitors. Sticky pads, notes on napkins, and scraps of paper are history! "Awesome Approach to a Better CRM"
I used to get lost in task, opportunity and just the whole process of keeping up with leads I'd generate. Relenta first and foremost keeps me moving forward in the sales process and the contacts associated with the deals. I was confused by some of the other CRMs and their approach and the learning curve took too long. This makes sense of organization - at least for me! I can't say I dislike anything yet as I've just started using it. Because I've used so many different CRMs in my career and found many of them confusing, this one just made sense. Just try it! It offered more control for our business at reasonable investment. After getting a deal going, I used to get lost in the sales process and again, those associated with it and where we were at in the process. I'd have to call my contacts just to see what was going on, who was doing what and when it was done. No real sense of control. Now I have a sense that the process has a flow. "Relenta always makes me look good! " Relenta helps me respond to my customers much faster. I love having ALL relevant customer info organized into a timeline. When a customer calls, within seconds, I can see the history of that customer and what transpired during out last interaction. Many customers have commented on my photographic memory, little do they know that I have Relenta supporting me from behind the scene. I can't say there is anything I dislike. I suppose with every application there's a wish list. For example, If I could integrate my Google calendar with Relenta's calendar that would be a bonus. I suggest you sign up for the free trial ... play around with it ... and see if it's a good fit for you and your business. I think you'll be pleasantly surprised. One of the biggest challenges I face is being organized and staying focused. Relenta helps me solve both challenges by putting everything at my fingertips. This saves me time and keeps me on track. "Powerful Tool - Great Support!" The contact timeline is amazing. So helpful in managing jobs and customer interactions. We are just starting out, but already we can see how much this tool will improve our efficiencies and communication. The on-call availability of personal set-up help from Dimitri is invaluable! Self-populating fields would be helpful when assigning emails to contacts. Inability to share contacts and groups across departments. We are generally trying to increase efficiency within our sales team. Our capability to provide excellent customer service is heightened with the email feature of this CRM. We've tried other CRMs, but the team access to email history and documented contact interaction on the fly really set Relenta apart. "Make it Happen CRM - is the other name for Relenta"
I like the simplicity of use and the "force multiplier" of my time and energy. It allows everyone on our team to understand exactly whats going on with each of our customers at any moment - and its priced right too! It took a bit of learning to really get the maximum value out of the system. The nice thing is that Relenta has continued to make the app more user friendly and powerful - a hard balancing act for any CRM software! Make the switch and Make things Happen! The ability for everyone in my company of 7 to see whats going on when we need to call a customer. "Must have for any high-touch B2B"
Email is the cornerstone of modern B2B, and yet for the majority of CRMs, email is an afterthought. Relenta takes the problem differently: it starts with a mailbox, and this mailbox is enhanced both for teamwork and client management. It allows the sort of very fluid interactions you need whenever you sell semi-complex products or services that don't fit into a rigid hard-coded deal flow structure. No mobile version! But as a long time Relenta user, I have seen the app progress a lot over the years, so fortunately by the time you read this, this point will be moot. I have organized all the account manager teams of Lokad to operate through Relenta. It's hard to quantity the benefits, but frankly all the alternative CRM we tested just felt like desperately unproductive when compared Relenta. We ran our first review of Relenta back in 2007, and have been confidently advocating it ever since. As an email based CRM solution it is hard to surpass, but as important the company behind the product is equally strong. They're in it for the long haul. Loosely based on David Allen's Getting Things Done (GTD) principal, coupled with their emphasis on one-click functionality and great UI, make for a powerful and happy user experience. Highly recommended for those looking for an email-centric CRM for their team. Not enough features. But rather that than bloat, and what Relenta does, it does well. There is nothing that I dislike. This product meets all my needs. If you live in an email centric world then this CRM is for you. Keeping track of many project details & history at once. "A very good email manager for small team"
- every users can see all the emails, answers, task of every users. calendar could show up task to do in tab. Sharing emails in a small team. No need to transfer, explain,... everything is in one place! "Easy to use CRM with a lot of power. Perfect for our Commercial Real Estate Office "
Very affordable and love the ease of access and client history. Love the flexibility/functionality of using Groups and Tags. We couldn't live without it. The help/tech support is always timely and they have a very common sense approach to helping you. I'm sure with unlimited funds the new features would roll out constantly, but I'm realistic. We're communicating and tracking over 10,000 clients. The database is the heart of lead generation. We would be out of business without this! "Unique, Powerful Hybrid CRM + Marketing Tool"
There's no other CRM that integrates an email inbox with bulk email marketing and automated follow-up sequences. This combination has proven extremely powerful for me. Their development team has such a strong focus on making their service highly available (i.e. little downtime) that I think detracts from their ability to add new features often enough. I'm using Relenta to build relationships with my e-commerce customers and send them marketing emails. It's helping to make my company more profitable. "We use Relenta to manage our PR campaigns"
Relenta save us lots of time and gives us peace of mind during PR campaigns which required juggling numerous and diverse prospects, and keeping track of potential collaborators and participants. I took us time to start fully use all Relenta's features. Request an introductory demo, it's excellent! Our public-oriented website energyforthebrain.com offers information which can be useful for Alzheimer's disease sufferers, their caregivers and their doctors as well as for journalists, medical students and our peer researchers. The ability to use one system to manage email and contacts. The features I have recommended are in the roadmap. The ability to manage my contacts and email has saved time, with all in one place. Also, Relenta has email, marketing features which allow me to basically use one system instead of three: email, crm, email marketing. It's simple easy to use and their support people get back to my quickly when I have questions. Also, the pricing makes sense. The user interface is simple and easy to use but it seems old-fashioned compared to newer apps. The user interface is outdated. We use Relenta for email outreach. "Simple but very effective CRM software"
Its incredibly easy to use, where as other products I have tried I have found cumbersome and compex. I particularly like the direct mailing functionality that allows me to stay n touch with my business community at the click of a mouse. * We monitor all Relenta CRM reviews to prevent fraudulent reviews and keep review quality high. We do not post reviews by company employees or direct competitors. Validated reviews require the user to submit a screenshot of the product containing their user ID, in order to verify a user is an actual user of the product. Hi there! Are you looking to implement a solution like Relenta CRM?